Forrester found that check-in users were predominantly male which tells us that there are many women not using check-in service using because of safety and privacy concerns. That’s why the very smart folks at LOCiMOBILE came up with iCheck-In ™. The non-app that tells who you want where you are, what your doing and how they can get from where they are to where you are. Now you can share with some, but not all and keep your privacy private. It’s important to note that while check-in apps haven’t gone main stream yet, that doesn’t mean they never will. As Pew noted in its report, there was a time when Twitter wasn’t popular either – as of 2008 only 6% of adults used Twitter. In just two years its user base has grown to 24%. Check-in apps will in all probability see a similar trend. For those penny stock investors, LOCiMOBILE is a business unit of GTX Corp (OTCBB: GTXO.OB) which utilizes GPS and cellular location platforms enabling subscribers to track the whereabouts of; people, pets, vehicles or assets in real-time through its proprietary end to end solutions through smartphone apps, middleware, viewing portals and now, iCheck-in.. Check it out. Smartphone owners worldwide downloaded more than 3.8 billion mobile applications in the first six months of 2010, compared to 3.1 billion in all of 2009, according to new data issued by market analysis firm research2guidance. Global smartphone revenues for the first half of 2010 exceed $2.2 billion, surpassing full-year 2009 revenues of $1.7 billion. The study adds that the average premium application price in now $3.60. The Internet’s premier hub for bite-sized conversation has reached a major milestone: according to tweet ID numbers, the sites users have surpassed 10 billion tweets. Only four months ago Twitter passed the 5 billion mark on the 140-character updates, used by everyone from publicity-hungry celebrities to protestors in Iran. The contents of tweet #10,000,000,000 are unknown, as the user has protected their updates, but #999,999,999 (a link to an gallery of urban photography) and #10,000,000,0001 (a simple phrase: “DON’T U EVER”) are viewable online. 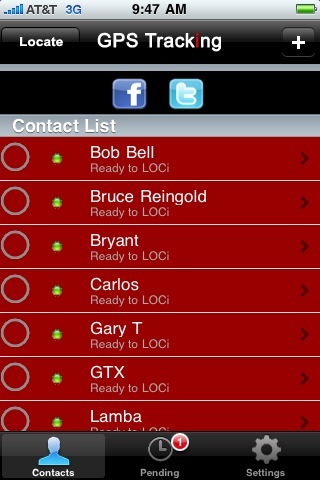 GPS Tracking App by LOCiMOBILE hooks you up with Twitter and Facebook connect. With one click you can post a note along with your location to both Twitter and Facebook. What could be easier? Available for iPhone and Android platforms. 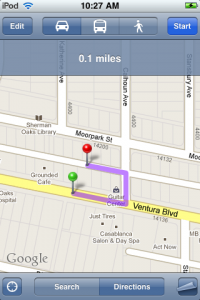 Click here to learn more about GPS Tracking.